First time at First Saintfield ? Firstly – welcome. 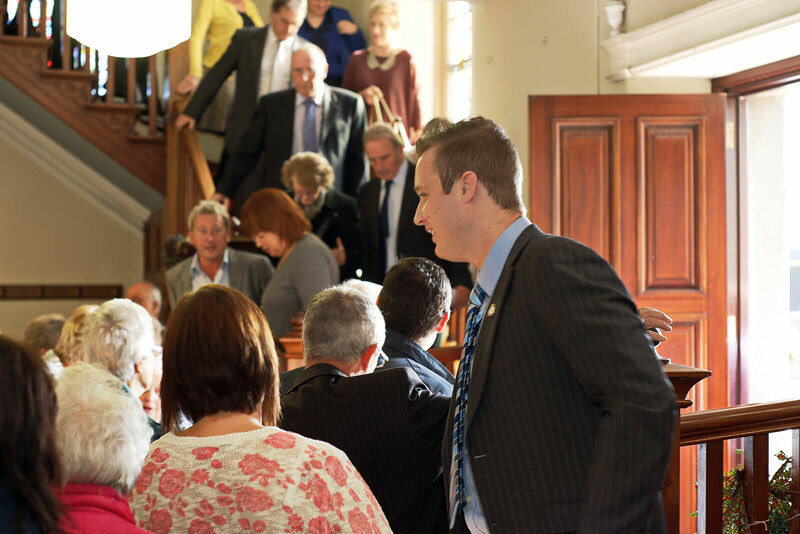 It is great to see new people joining us at our morning and evening services. 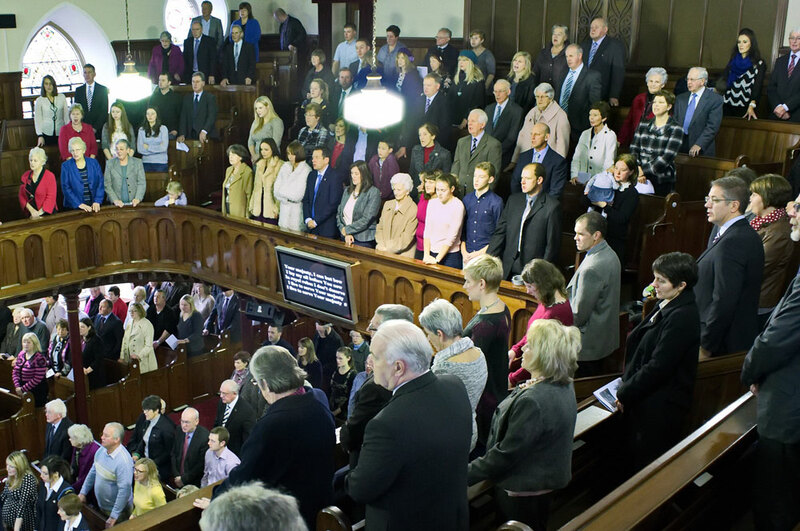 Our services are each Sunday at 11am and 6.30pm. 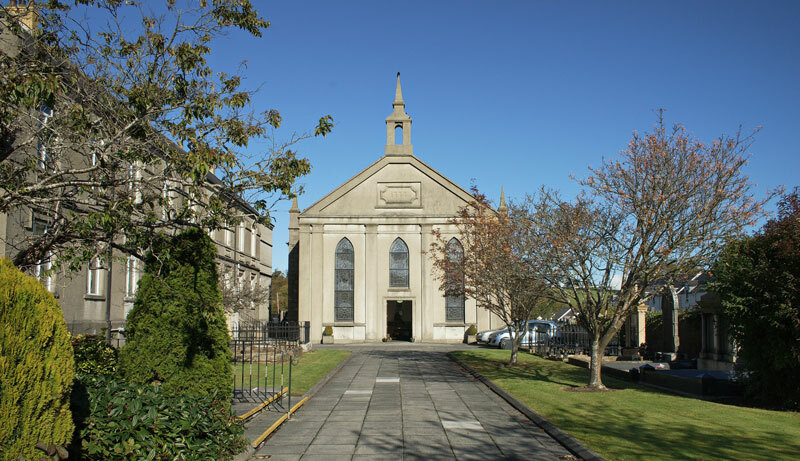 We don’t have a church car park but there are normally spaces available close to the church on Main Street or Comber Street. There is a car park on Downpatrick Street, behind the Danske Bank. We hope you will receive a warm welcome when you arrive. Our welcome team will greet you at the front door and can answer any questions you may have. Please feel free to sit anywhere in the church. 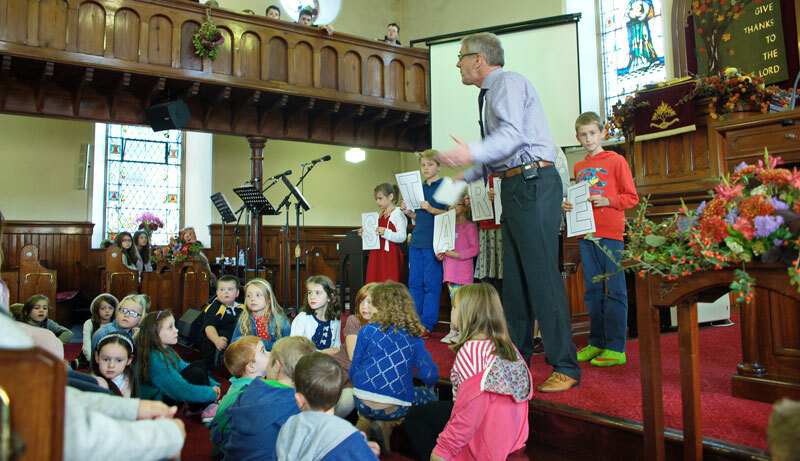 We love to see new families coming and encourage the children to come into church. 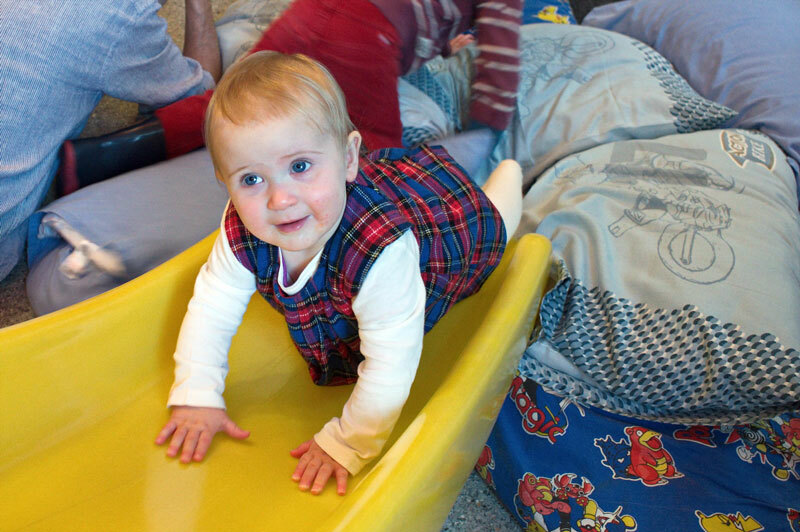 For the very young we have a crèche facility at the morning service. Crèche opens from 10.30am. As you walk towards the main church entrance you will see a set of steps leading to the building on the left. Go through the main door at the top of the stairs and crèche is in the room on the right hand side. More information can be found here. Children not attending crèche sit with their family at the beginning of the service. 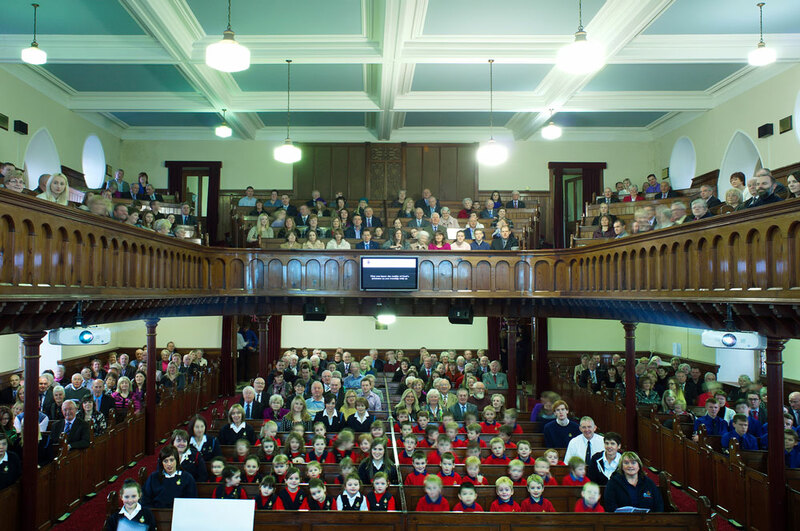 There is normally a children’s talk and the minister will call the children to the front. New children are welcome to go up to the front. After the talk and prayer there will be a children’s song and then the children leave the service for Kidzone (nursery to P4) and Flipside (P5-P7). Both groups meet in the halls adjacent to the church. Please feel free to go out with your child and speak to one of the leaders. The children are then collected from the halls after the service. More information can be found in the section on Kidzone and Flipside. After the service our Minister will be at the door. 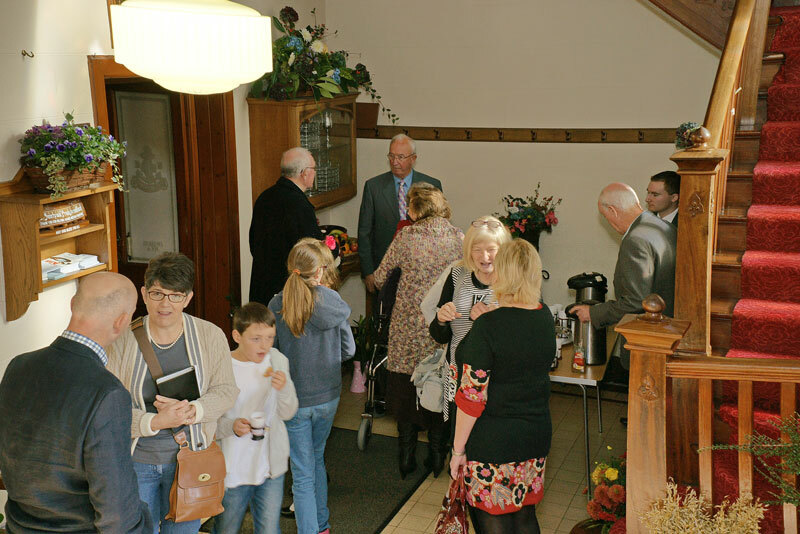 We serve tea and coffee after both the morning and evening service in the vestibule, please stay and chat.